Hill fires, a big plane and masses of freckles. Sicily is hot at the moment and very humid. 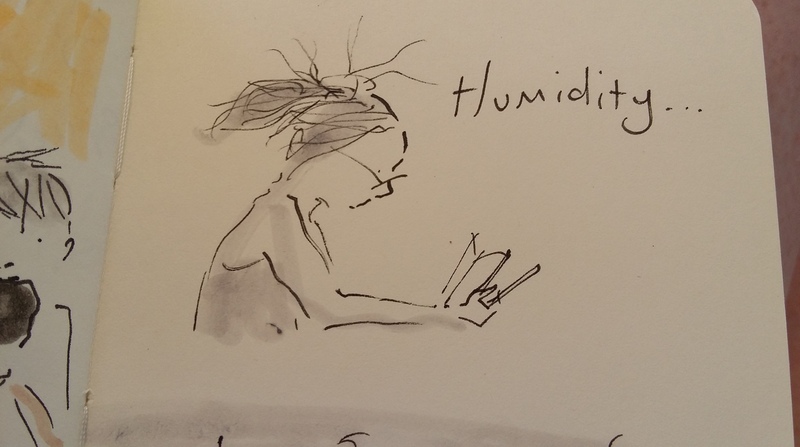 I’m currently dripping over my sketchbook under a tree in thirty five degree heat. Hair is looking like it too. There’s been no signal here for the last few days as a quite severe hill fire started on the parched hill above our campsite. We’ve been woken up to a very impressive fire plane gathering water from the bay and swooping dangerously low amongst the jagged ridges of the hill to offload its water. Most spectacular indeed especially of a night when the fire appears like bright orange tendrils against the dark silouette of the hill. I feel quote conspicuous as the palest female in the site but I seem to have developed a small army of freckles to break up the ofending white bits. Posted on July 12, 2017, in Uncategorized and tagged camping. 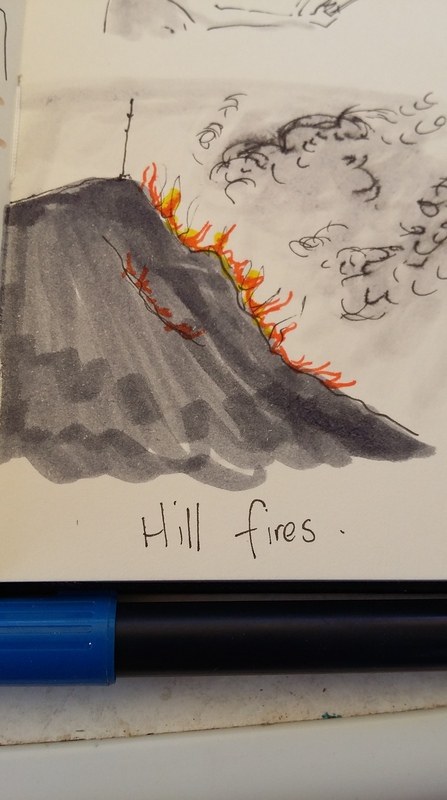 doodlemum, fires, Sicily. Bookmark the permalink. 1 Comment.